Hotter than this thermometer can measure? Don’t drink it. This 2016 guidance has recently been validated by a study published in the International Journal of Cancer. Researchers studied over 50,000 people in Iran. The risk of developing throat cancer was nearly double in those who reported drinking very hot tea (at temperatures higher than 65C or 150 degrees Fahrenheit). This makes sense. High temperatures are used to kill micro-organisms in organic matter. This process is called pasteurization, and is a great thing for killing microbes in a product you might wish to store for future consumption, such as milk. Need to ensure water is safe in a survival situation? Many folks keep a Water Purification Indicator (WAPI) in their emergency kit, which measures when water has been heated to 150 degrees for long enough to be safe. So 150 degrees Fahrenheit is something of a magic number. Do pasteurize food and water. For what it’s worth, this correlates with other behaviors that damage body tissues, such as the link between excessive exposure to UV radiation (sun burn) and skin cancer. As members of the Church of Jesus Christ, we already avoid caffeinated tea and coffee. In the spirit of reducing cancer risk and being heedful of counsel, feel free to put ice cubes in hot soup, milk in hot cocoa, and let the herbal tea steep for a spell before taking a sip. For what it’s worth, aficionados agree that the best temperature for coffee is 136 degrees Fahrenheit, while the average cup is served at 160 degrees. 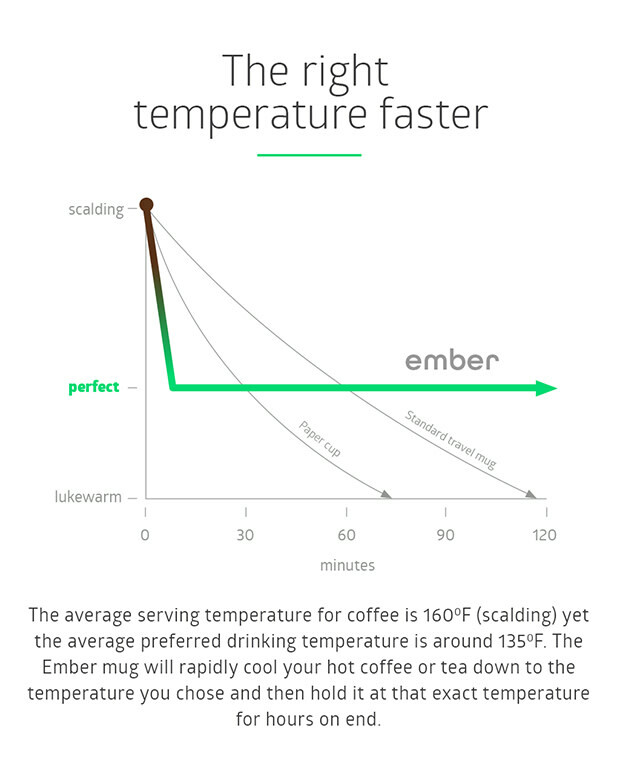 The Ember line of (expensive) mugs is designed to keep beverages at the optimal temperature, where most standard cups lose heat steadily so the optimal temperature exists for mere seconds on the trip between scalding and tepid. But no discussion would be compete without this quote from Hyrum, “Again, hot drinks are not for the body or belly. There are many who wonder what this can mean, whether it refers to tea or coffee, or not. I say it does refer to tea and coffee”. Hot chocolate was not as common as coffee, but certainly people were familiar with it at that time and many even used it medicinally. Not as popular as coffee though. Not sure when Cocoa got added, or if he added it, but it’s been brought up at as well. Joseph F. Smith was a vegetarian, though he didn’t insist that the entire Church adopt his preference. Extensive consumption of meat was not likely in an age before refrigeration and when the community was responsible for production of the meat. I notice with bemused sorrow that it was circa 1868 that Watts had ceased aligning himself with the Church, which was no doubt a conundrum to Alice Longstroth [Whitaker Watts], his long-suffering wife. Thanks for the article, Meg. I don’t know how anyone could drink very hot drinks. As a young child, I remember having a burnt tongue from a too hot sip of something. It took several days for my poor tongue to recuperate.